I have never been a fan of rhubarb. To which I can only ask of myself, what was I thinking? 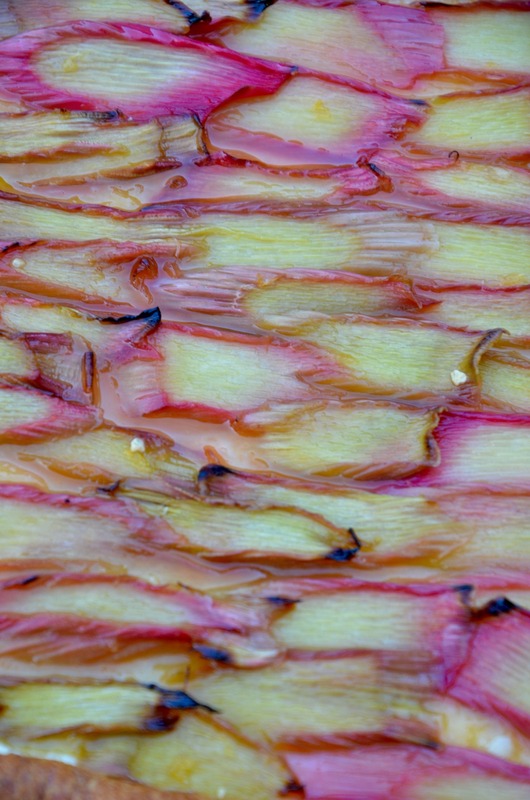 Rhubarb is totally delicious, with that slightly tart-sweet flavour, which citrus brings out so well. And it’s perfect with vanilla ice-cream. So I’m glad I saw the light. Expect to see more rhubarb recipes in the future, since we’ve got a whole forest of them growing in our garden and my parents are begging me to start chopping away at them to use in recipes. 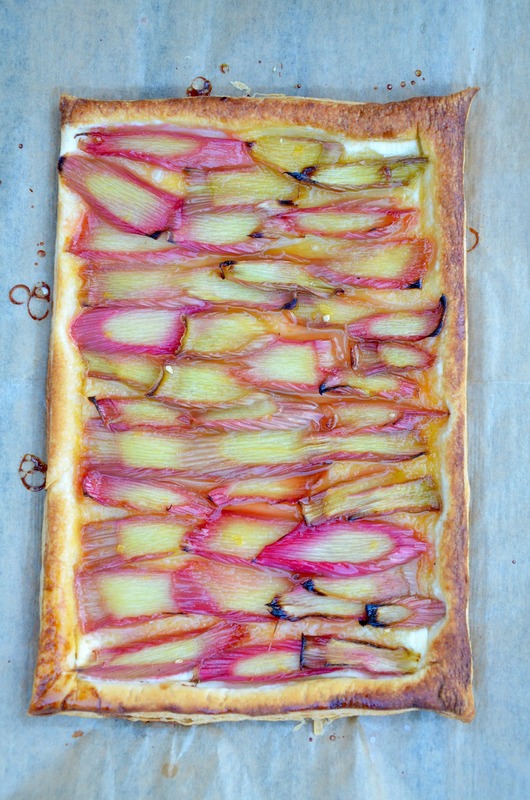 So today, I present you an easy-peasy rhubarb tart made with pre-made puff pastry (well…you can make it if you want from scratch, but I won’t be joining you) and a lovely orange and lemon glaze that really brings out the tartness of the rhubarb. Sometimes things are best kept easy. In part because it’s getting darker already (waaah, where’s my natural light gone?! ), so I can’t be slow cooking all day long if I want pretty pictures, to put it in a brutally honest way. And also, sometimes it’s just nice to not have a lot of faff with recipes. And simple and easy still tastes pretty good in this case. Nom. I whole-heartedly have a love for most things including caramelised onions, so we’re off to a great start. This recipe actually calls for red onions, which are slightly sweeter though the pictures show one made with normal yellow onions, which are less naturally sweet. Your call. This is adapted from a recipe by Bill Granger, whose cookbooks are the epitome of simple and easy but still the best of those worlds. Taste is by no means compromised (I really recommend his Everyday Asian book, actually–a mix of classic, authentic, but still easy enough for everyday cooking, and the pictures are gorgeous. I’ve made probably about eighty percent of the recipes in there, and we have not had a single dud). Serves approx 4-5 as a main meal. I’ve added the prosciutto as an extra, but you could skip it and keep the dish vegetarian, or go wild with other toppings! …and the classic; a kanelbulle. Like a cinnamon roll, but the Swedish way! A lovely vanilla cream centre hidden inside. Sinful, but I can take it.